This is a simple, highly effective one-page template that works as either a CV or resume. The example info is for a retail sales job but this template is ideal for those looking for a position early in their careers. There is just a touch of creative flair provided by the Jenna Sue font, shaded headers and the use of expanded text - but on the whole, this template keeps things simple and spacious, giving prospective employers everything they need to know on one side of A4. Free Retail sales CV/résumé template in Word	Overall rating:	4.8	out of 5 based on 6	reviews. 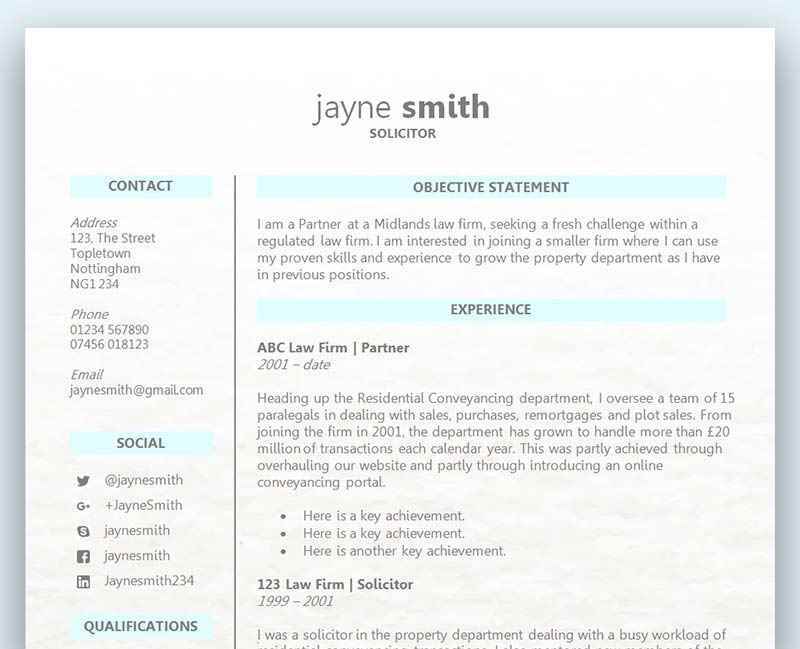 If you're wondering how to get a rounded CV photo like the one used in this template, the good news is we've written a quick guide for you - scroll down for a link! There's also links to the required fonts below (both free) if you don't already have them installed - and we recommend you grab these and install them before working on your template. NB: In this example CV we have included the candidate’s date of birth. Although we would not usually recommend that a date of birth is included (as it is usually irrelevant and invites discrimination), it may be necessary where the advert specifies that you must have reached school leaving age, as some retail ads do. Images used in this file are subject to copyright and may not be distributed. As for all of our templates, this CV template is subject to copyright. You may use it for personal use only. We’ve already covered how important it is to tailor your CV to the role, and this is especially important when applying for a retail sales position. Having the skills to be a successful retail sales person can be very different from the standard soft skills you’d expect to see in an employee, and creating a successful ‘retail sales CV or résumé’ has to have a different approach. Having a great rapport with customers/clients is an essential aspect of being a successful retail salesperson, and the hiring manager will be keen to know if you have this ability. Due to the structure of a CV it can be difficult to get that message across to the manager, so another avenue you can consider is writing a cover letter. Because a cover letter addresses the hiring manager directly, the very nature of a cover letter allows you to be more informal than your CV. Although traditionally you would build rapport up with someone face to face or over the phone, you can also begin this process via your cover letter. Try to link your hobbies to the role and the retail sales skills which would be required. Being a good communicator would of course be very important for this type of role, and if any of your hobbies also require this skill then you could link it quite nicely to the position. If you are the captain of a sports team, a singer in a band, or any other hobby which clearly demonstrates your great communication skills, then make sure you add this onto your CV. Look closely at the job advert and decide upon any additional hobbies that align with the role. You’d be surprised at how many times job seekers miss out on this opportunity to add further value to their CV. If you’re going for the type of role where targets will be set, you’ll need to go the extra mile to make a good impression. Whilst listing your previous retail sales experience in the employment history section is fine for a general retail sales role, this won’t cut it if you need to prove you can meet and exceed targets that have been set for you. The hiring manager really wants to know how well you did, and how many targets you hit. For these type of jobs, in order to prove yourself as a great retail salesperson you need to include numbers and revenue. Your achievements need to be quantified on your CV/résumé so the employer can take note of your outstanding performance. Show your previous sales figures and the impact you had on the roles. For any type of retail sales role, you should also demonstrate your ability to learn new products/services quickly, which will help the employer to see that you will integrate quickly and begin converting visitors to customers..
Every CV or résumé, no matter what the industry, should be tailored to the role so that the employer can see you are dedicated and passionate to work for them. Not only that, it will make it much easier for the manager to find what they are looking for and see that you are the right person for the job. If you are applying for a sales role for a product or service that you haven’t sold before, you need to find out more about who the company’s customers are, what they sell, and how they advertise. What would be expected of a retail salesperson for this company? Put yourself into the shoes of the company and decide upon what you feel they would want to see from an employee. Only then can you begin to write a CV or résumé that perfectly fits their criteria. Highlight the relevant skills, qualifications and experience that show clear benefits to the company, and make it clear on your CV that you know what they’re looking for.